At SPACE Architecture + Design. 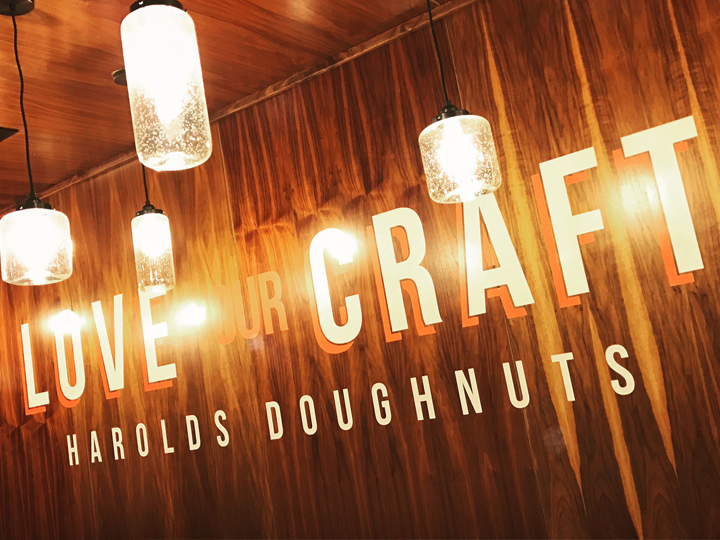 We got to make some exciting and modern-looking signage for a donut shop in Columbia, MO. 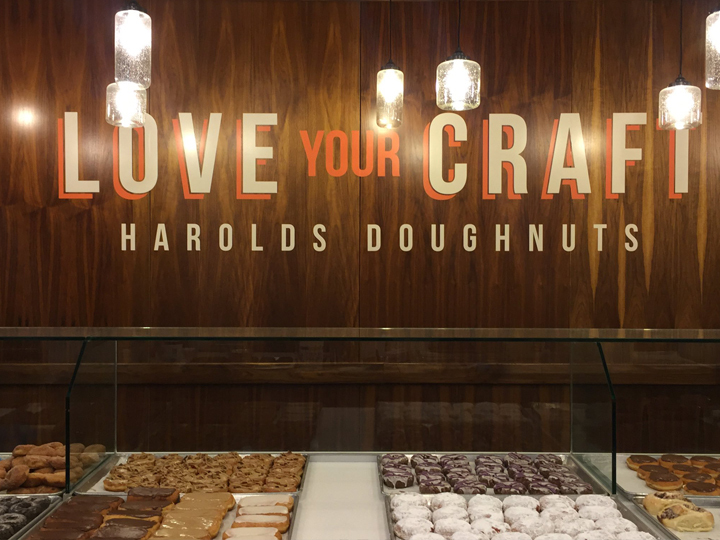 I worked with our architects to adapt the existing branding for exterior signage and designed a fun interior text mural (along with coordination with local sign painters for client’s use) as a focal point for the look of the minimal interior space. 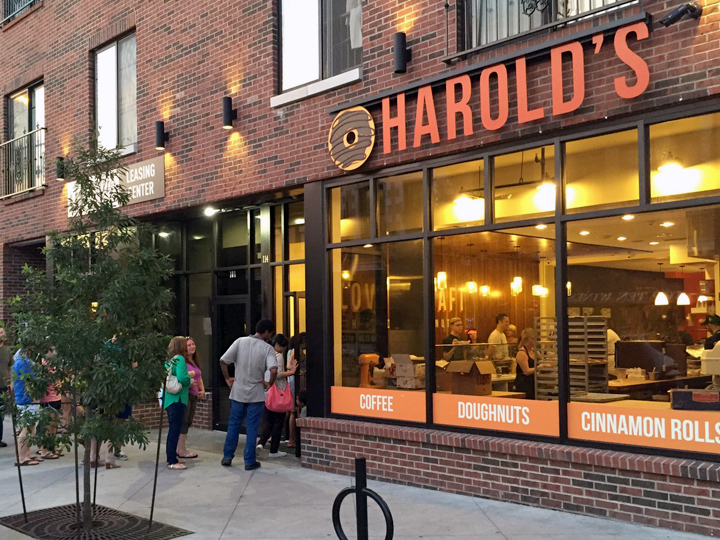 Photo credit: Harold’s Doughnuts, Columbia, MO.